SANTA CRUZ, Calif., (October 23, 2018) Zero Motorcycles, the global electric motorcycle sales and innovation leader, today announced the release of its 2019 model line. With more powerful base models, brand new tech features, extended range and bold new styling, this year represents the strongest lineup of motorcycles in Zero’s history. 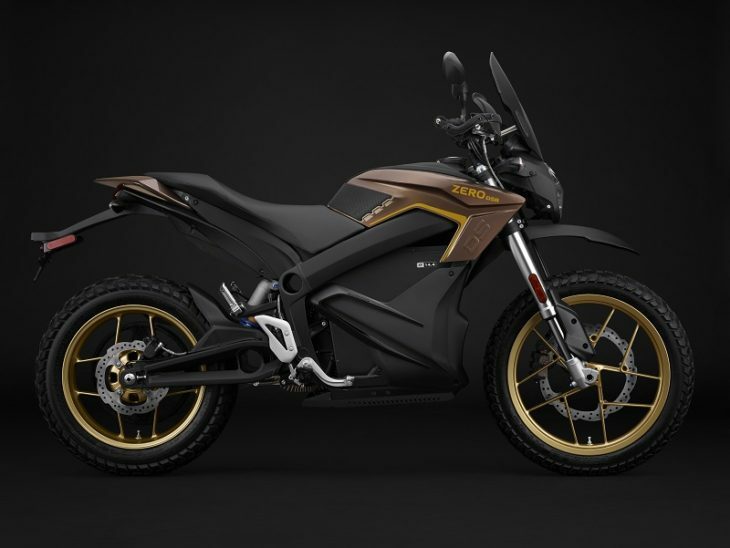 For 2019 Zero focused on its dual sport line to support the surging demand that the brand has been experiencing. The entry price point Zero DS ZF7.2 is designed for those seeking the electric dual sport experience and who don’t need, or want, a larger battery. In a major breakthrough, the exceptionally nimble model now boasts an impressive 35% more horsepower and an 8% higher top speed. At 96 lbs lighter than its longer-range counterpart, this model is going to be even more fun. The new longer-range Zero DS ZF14.4 now leverages the same battery as the premium Zero DSR to extend its range by 10% over last year. This allows the 2019 Zero DS to be configured with a range of 204 miles in the city and 97 miles on the highway. The pinnacle bike in the dual sport line, the asphalt and dirt ripping Zero DSR, continues to be wildly popular among riders with its massive 116 ft-lb of seamless torque. This year it has been newly outfitted with a collection of Zero’s bestselling accessories including a dual-sport windscreen, tank grips, hand guards and a 12V accessory socket. Recently rode a friends’s Zero SR1. Seems strange having no gearshift/clutch levers, but how quickly you get used to such a naturally perfect drivetrain. The weight felt a like 500-600cc bike and the bike handled nimbly. Did I mention how fast this thing accelerates? When I test rode one they pulled it out turned the key and said “ok it’s running”, which confused me because I couldn’t hear anything running. Then I took off and at the first stop sign I came to, I applied the brakes came to a complete stop, and thought I had stalled it, again because there is no aural or tactile stimuli to let you know something beneath you is running. Once I got used to that it was a fun bike to ride. Very stiff suspension for me, but fun nonetheless. Very good acceleration. I’ve ridden a Zero and it was an interesting experience. Not sure I could live with one as an only bike, but I could certainly live with having one to ride locally, but honestly the price takes it out of the nice extra bike in the garage range. if i weren’t old and lame a zero would be in my garage. I guess pretty much all the balls are in Zero’s court now that Alta has been pretty much stabbed in the back by Harley. Harley was not obligated to Alta in any way. Obviously Alta had a business plan that did not work and now Harley may get their technology for pennies on the dollar.